Okay, I stopped taking pictures of American restaraunts after this. 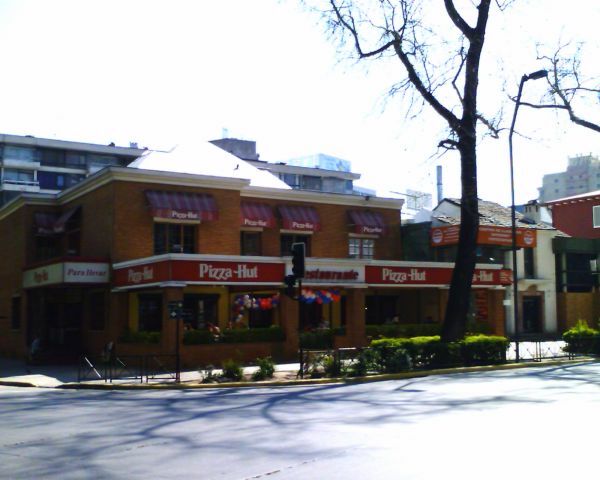 Chile has lots of American, Italian, and German restaraunts. Lots of Chilean ones too. However, I only saw one Mexican restaraunt and nobody was going there. Mexico has a lot of influence in California, but no influence at all in Chile. Both countries speak Spanish, and that's about all they have in common.